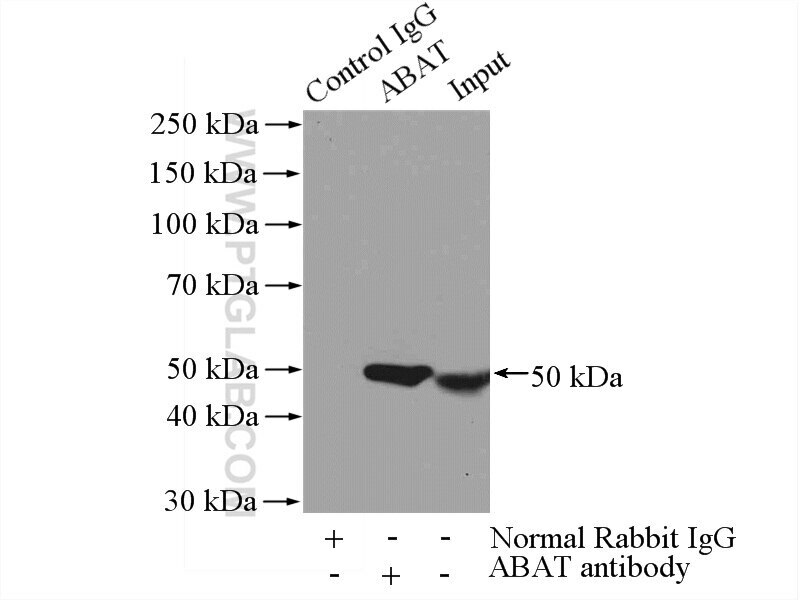 IP Result of anti-ABAT (IP:11349-1-AP, 4ug; Detection:11349-1-AP 1:500) with mouse liver tissue lysate 4000ug. Works good with minimal background. 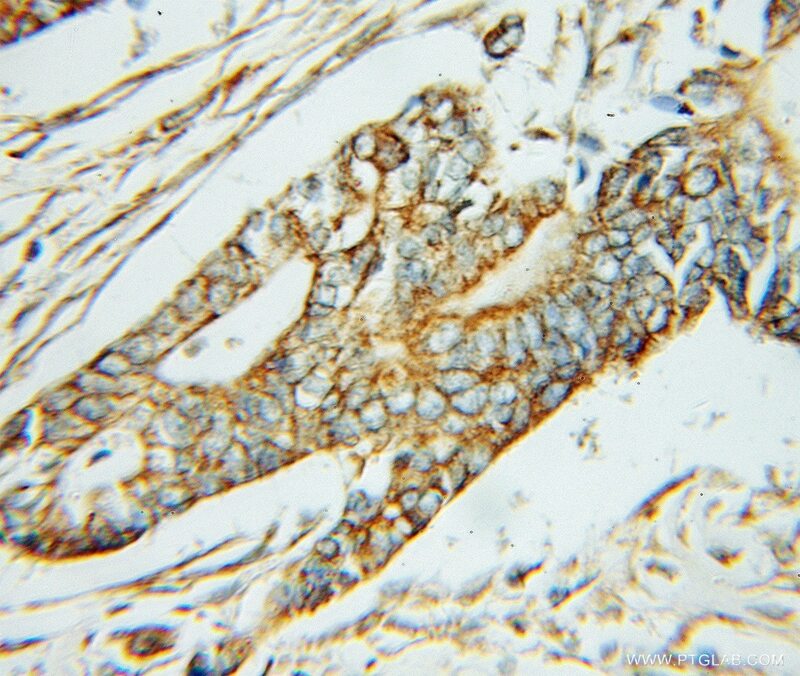 Neuronal gamma-aminobutyric acid (GABA) type A receptors undergo cognate ligand chaperoning in the endoplasmic reticulum by endogenous GABA.